One of my very favorite things about living in Tennessee is all the greenery! After growing up in Arizona, I just can’t get enough of all our trees and plants. 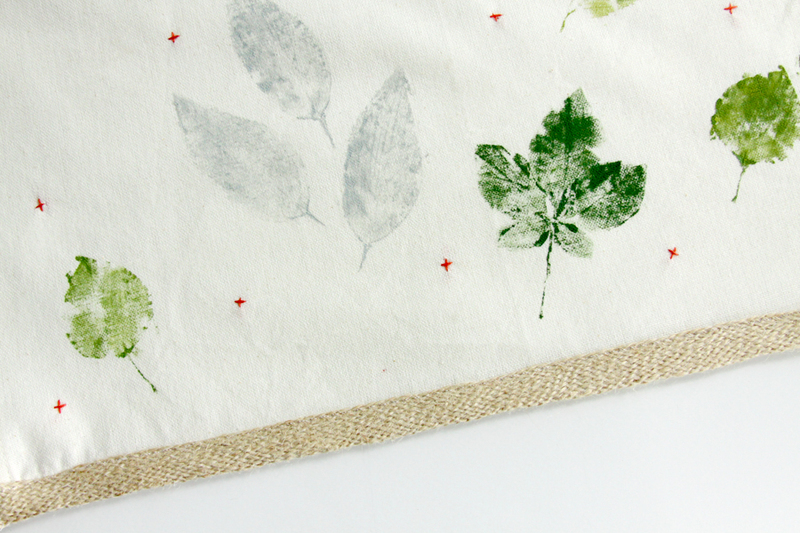 I decided to make up a little greenery inspired tea towel – before everything changes for Fall and falls off! 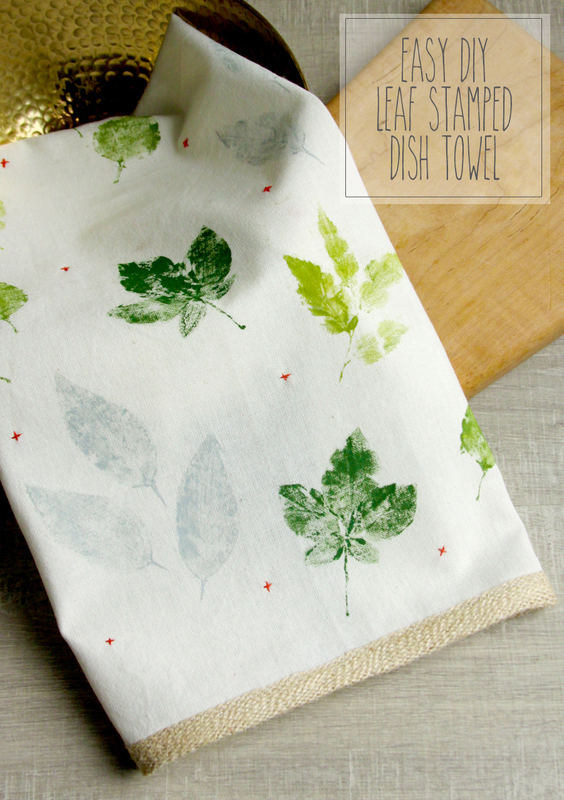 :) This easy diy leaf stamped dish towel was so fun to make and you can really have fun with colors and details on it. I added some little embroidered crosses and fun burlap trim to finish it off. Practice on a piece of similar fabric first. You will find getting a good coverage and how to press the paint on is easier if you’re not doing it first on your main project. 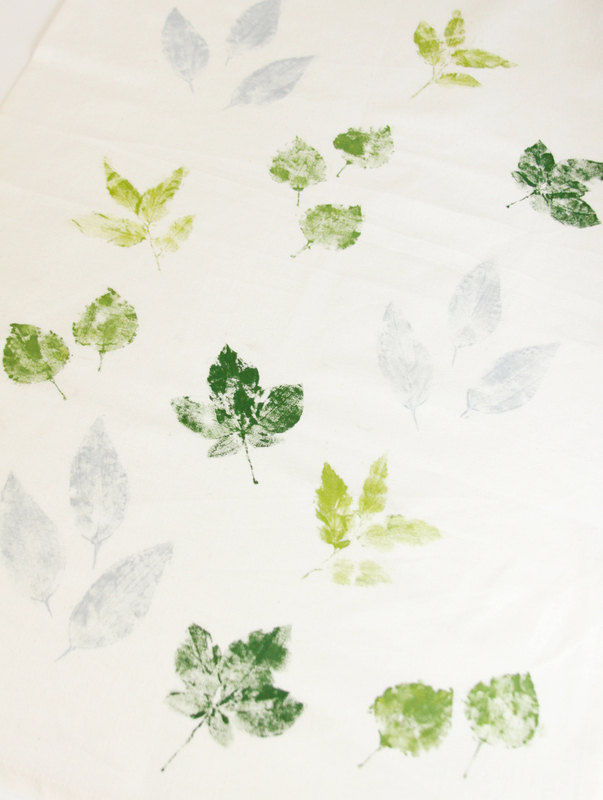 Try to pick leaves that are a little thicker/sturdier. They will hold up to being reused for your entire project. 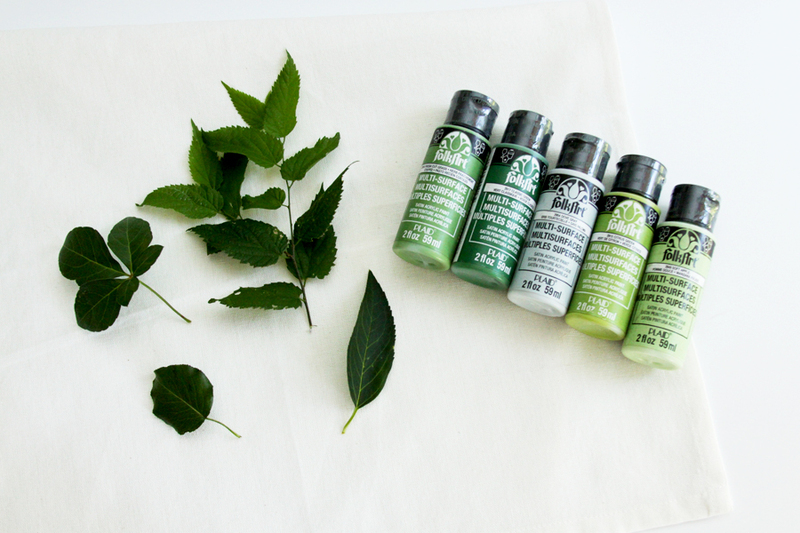 If you are careful as you apply them, you can use just a few leaves for the entire towel. Before you dive in, prewash your material with soap and water and dry it thoroughly without softener or dryer sheets. Let’s start painting! 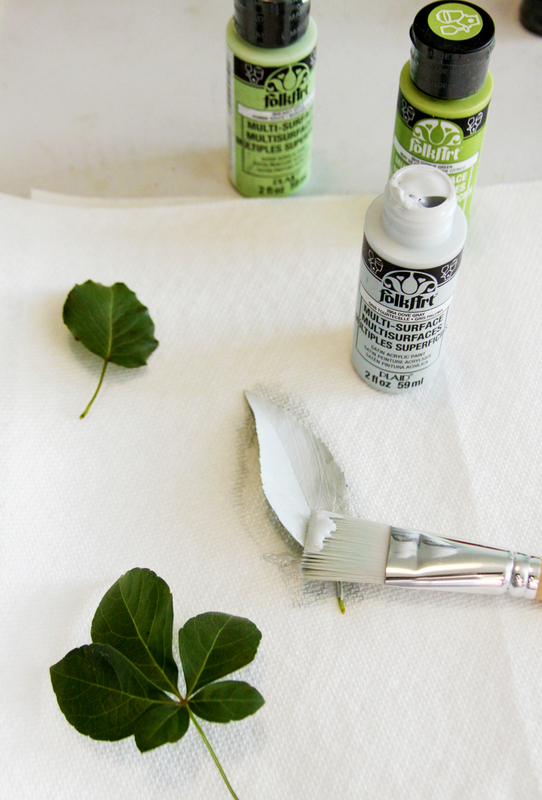 Choose a leaf and cover it completely with paint. 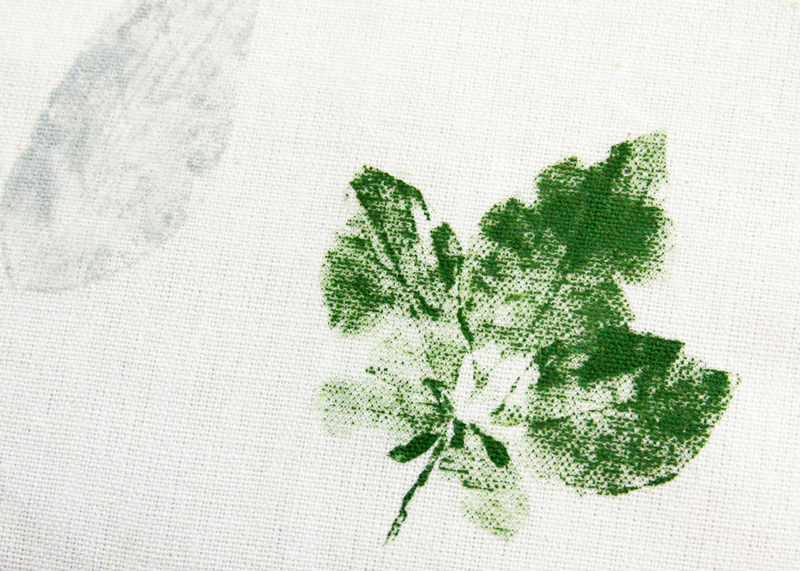 You want a nice even coverage without a ton of paint so the leaf details show through. 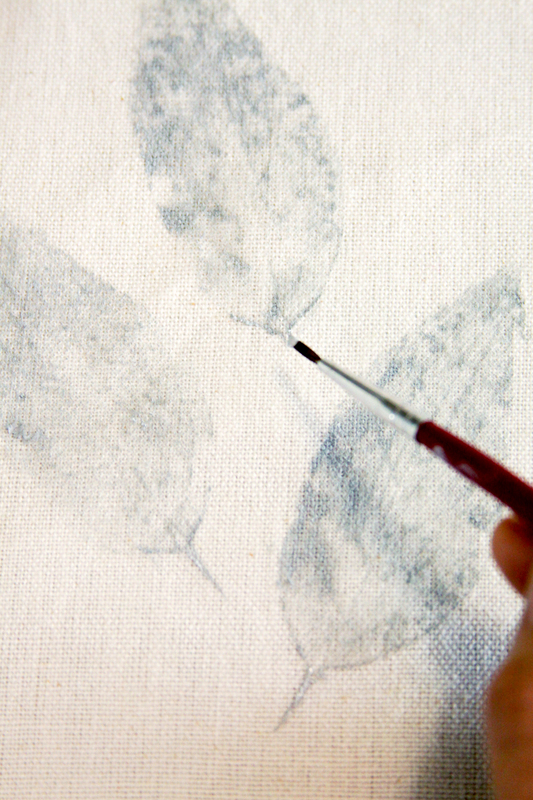 Again, this is where your practice piece comes in handy – you can see how much you need on a trial piece of fabric. 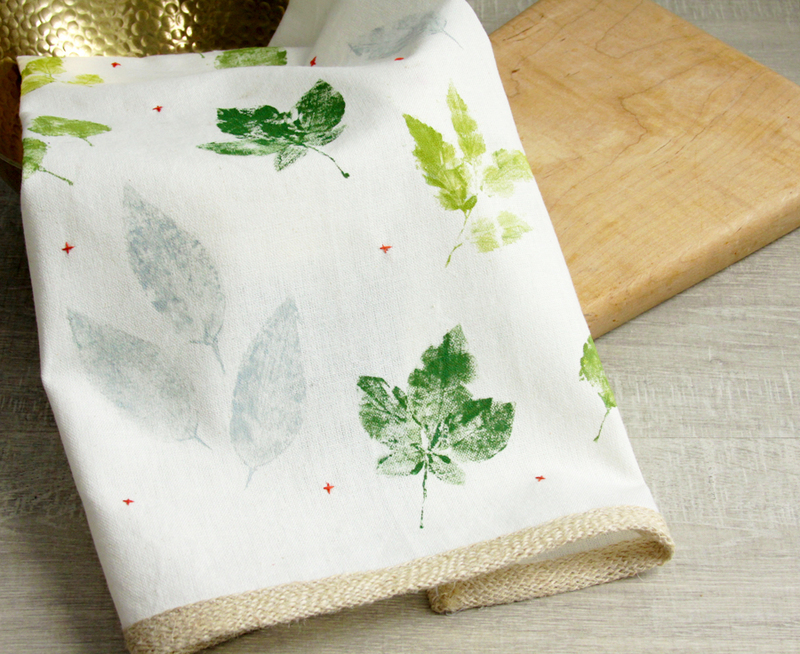 Press your leaves onto your tea towel, making sure you have pressed all the edges down. You can use leaves that have a few leaves on one stem, but I wouldn’t do more than five leaves or so. 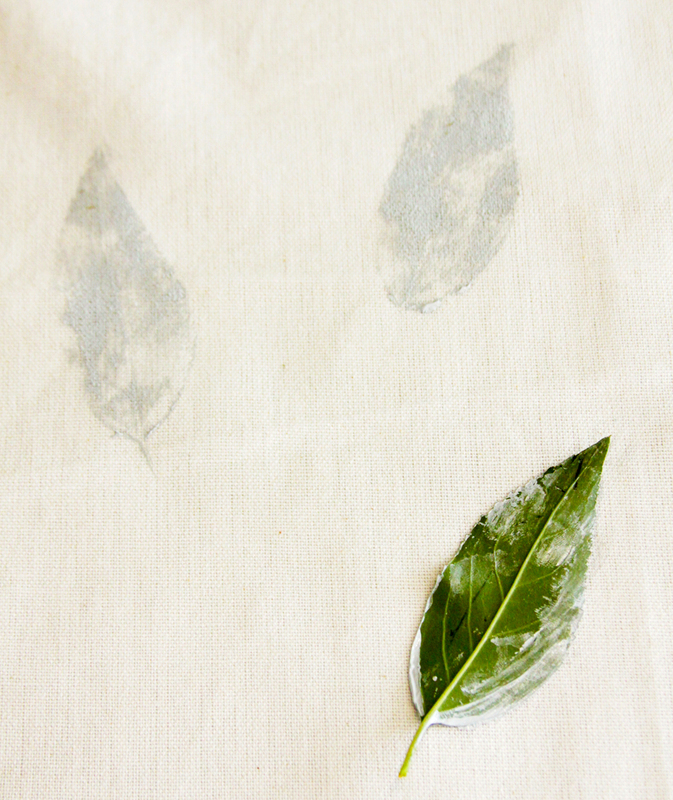 As you apply the paint they kind of stick together and it’s a little tricky getting them to lay flat on the towel if you’re working with more than a few leaves. 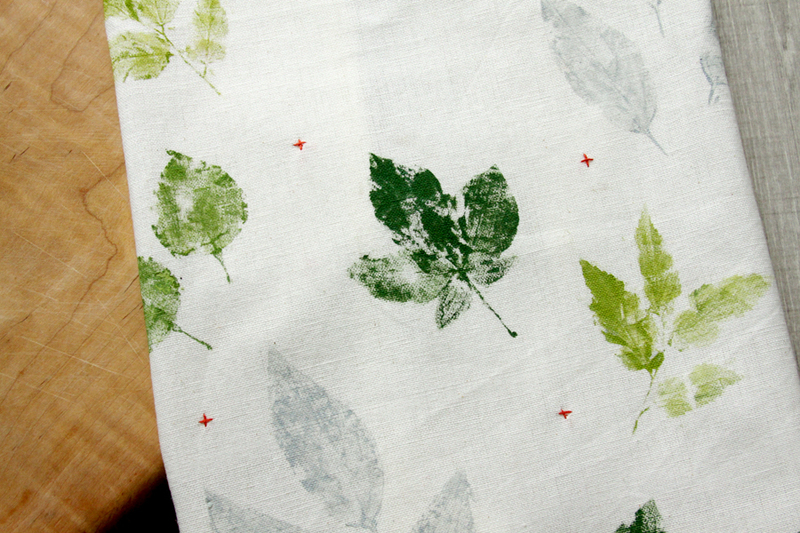 It’s kind of tricky getting the stems to stamp but it really finishes off the leaves if they are there. If you can’t stamp the stem, paint them in with a fine paint brush. 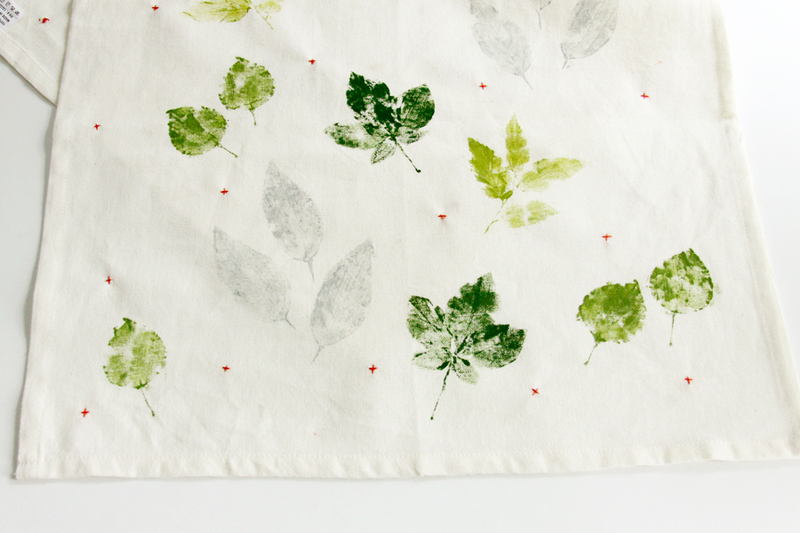 Apply your leaves all over the towel, or you can do a pretty row or pattern along the bottom or edges. To finish off my dish towel and add a little more color, I embroidered small x’s in some of the white space on the towel in a pretty coral color. Finish off the towel with some fun trim – like this burlap bias tape! 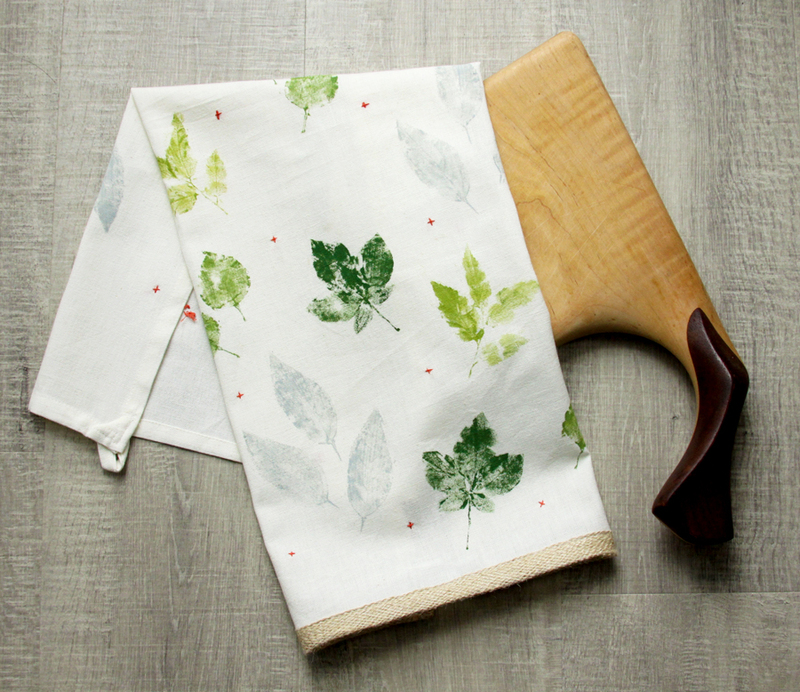 Now you have a pretty and unique dish towel to show off! You can find lots more inspiration from Plaid on Facebook, Pinterest and Instagram! I bought the August issue of Homespun from Google just so I could get your MEOWSKI PILLOW Pattern. It is adorable and I am anxious to get started on it. It must be very exciting to have your work featured world wide. I love what you do . I do have to say that Homespun has a lot of other great projects and I may have to take a subscription. Congratulations Bev on another wonderful project. 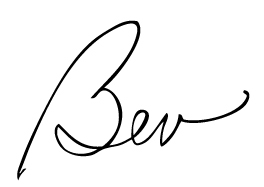 What a fun project, Bev! I love it! We’re open & growing all week long! 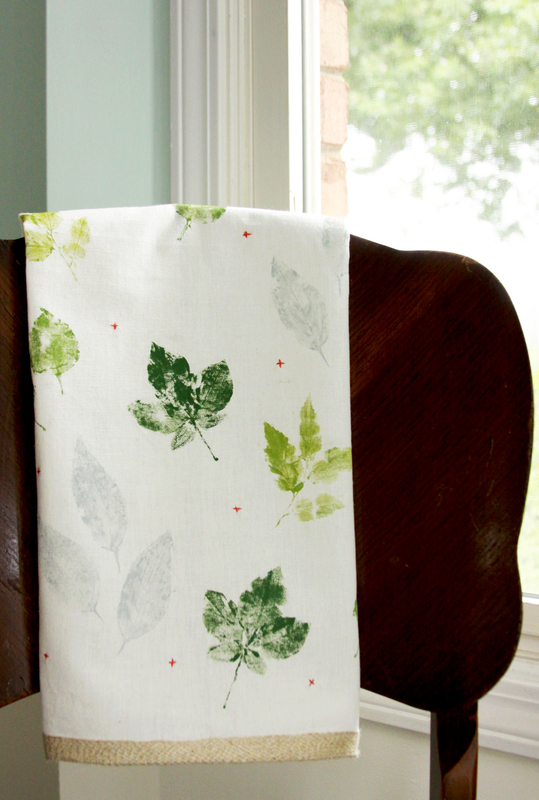 I like to use tea towels for napkins on my tablescapes and this is the perfect treatment for them. Thank you for the inspiration!